EBM 2010 organiser: "AEGEE-Kraków is always 100% ready"
AEGEE-Kraków belongs to the top antennae in AEGEE. And they have been doing this for many years. 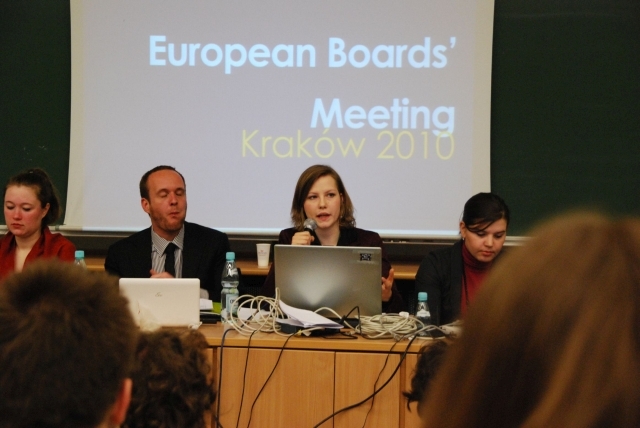 Among others, they organised two statutory events – both predecessors of today’s EPM, when they still had different names: the Presidents Meeting of spring 1992 and the European Boards’ Meeting (EBM) of spring 2010. This year AEGEE-Kraków turned 25; the Golden Times looks back at their great history in a series of articles. In this first interview Andrzej Kozdęba, main organiser of the EBM, looks back at this great event. GT: Andrzej, what are the strongest memories that come into your mind when you think of the EBM in Kraków in 2010? Andrzej Kozdęba: That was one of the best times of my life, so I have many happy memories of it! We had great team, we spent a lot of hours working together, we were young, motivated and excited because we were organising the greatest event in AEGEE-Krakow history. I can’t choose one or two favourites memories. The whole event is a beautiful one. 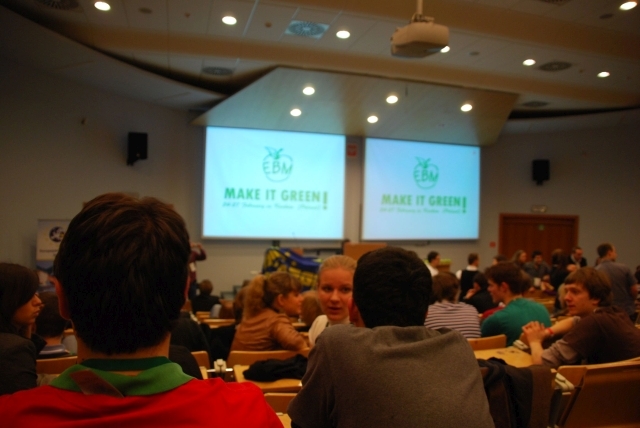 GT: How come that AEGEE-Kraków applied for organising it? Andrzej: To be honest with you – I have no idea. The decision was made by our board. I remember some rumours about that but I did not participate in the application process. GT: How did you become main coordinator? Andrzej: I was very motivated to organize this project, so I prepared a long application of more than two A4 sheets and a movie. There were three candidates for the task. One of them, Zbigniew, was much more experienced than I, so our board decided to talk with us. Fortunately, they chose me. GT: Were you also thinking about organising an Agora instead? Andrzej: Yes, we were and as far as I know we still think about it! However, AEGEE-Kraków will not apply for the Agora organisation if the board is not completely sure that we will prepare the best event ever. For now the biggest challenge is logistics, because when it comes to people then AEGEE-Kraków is 100% ready, as always. GT: Before you coordinated the EBM, what had you done in AEGEE-Kraków? Andrzej: Well, I wasn’t too experienced… Before I applied, I has been member of AEGEE for 14 months and I had been responsible only for LTC logistics. I also had been member of four or five project teams, but you cannot say that I was well prepared to be coordinator of such a big event. GT: How and when did you actually become a member? Is there a funny or interesting story about it? Andrzej: Haha, I’m glad you asked. Frankly speaking my friends prompted me to go to an LTC. Before I had joined AEGEE I thought that students’ organisations are for losers, that their members have no friends and they work all the time: no parties, no vodka, no hobbies. So I decided to go to an LTC to show them how to party! I bought a lot of vodka and my dream was to be the worst participant ever. I wanted to make the organizers afraid to organize another LTC, because another person like me might apply. However, reality was much brighter than my expectation and I fell in love with these people! GT: Great story! The EBM was the biggest event your antenna ever did. How many participants attended it? Andrzej: There were around 350 participants and 25 organizers. GT: In which university did it take place? And where did people sleep? Andrzej: The whole event took place at Cracow University of Economics. The university let us sleep in their gym but it was really hard to negotiate that. Fortunately I had an experienced mentor, Mirek Krzanik. He helped me a lot with that. GT: What were the greatest challenges in organising it? Andrzej: Getting the gym was the greatest challenge. When we found a place where all participants could sleep we knew that everything will be OK.
GT: How was the cooperation within your local team? And how was the cooperation with the CD and Chair? 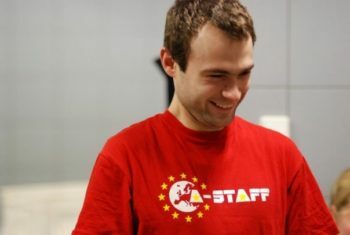 Andrzej: I had a great team and they did an awesome job before and during the event. I could count on them all the time. They were working even during summer holidays. I am really thankful that I could work with them. This event was so great because of their work. I was only a link between them all. Also Chair and CD were helping and made lots of efforts to prepare this event. My English was rather weak then so I’m grateful that they had the patience to listen to me. GT: How were the parties? Did you have great locations or party themes? Andrzej: To be honest with you: I was so tired during the event that I almost don’t remember the parties. 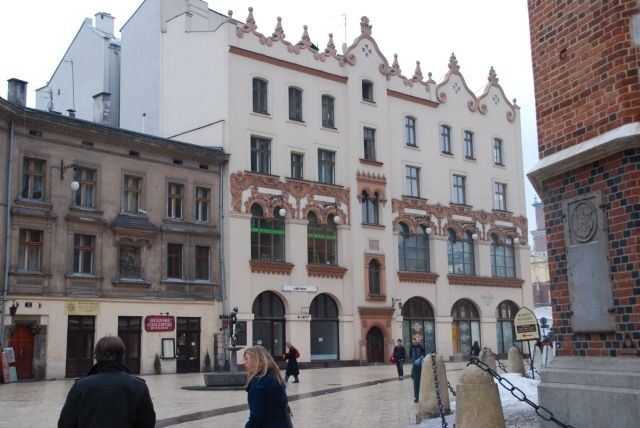 Kraków is a city of students so there are a lot of pubs and clubs. But it wasn’t easy to prompt owners to have a closed party during a weekend. I know that I had fun, people had fun. So probably the parties were not epic but still they were great. GT: How did being in AEGEE change you or change your life? Andrzej: I’m sure that AEGEE changed my life. Today I would not be the same man without all these experiences. Before I joined AEGEE I did not know that I can make my dreams come true. Now I travel, I have my own business, I know how to plan, learn and teach others. I met all my friends in AEGEE. We still work and have fun together. 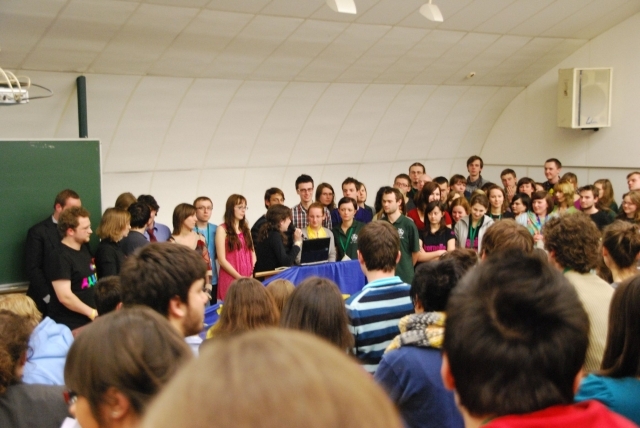 GT: Did you also join the European level of AEGEE? Andrzej: I was Subcommie, responsible for LTC programmes and member of the “YOUrope needs YOU!” project team. GT: When did you leave AEGEE? Andrzej: I’m not active anymore for two years, but still sometimes you can meet me at AEGEE. Even this year I led some workshops during AEGEE events. It’s fun. GT: What did you study? And what are you doing as your main occupation now? Andrzej: I studied Political Sciences at my bachelor and I did my master in Management: trade and marketing. Now I lead a small business: Studio KMIN. We design websites and teach people how to manage the image of their companies on the Internet and during meetings. GT: Where do you live now? 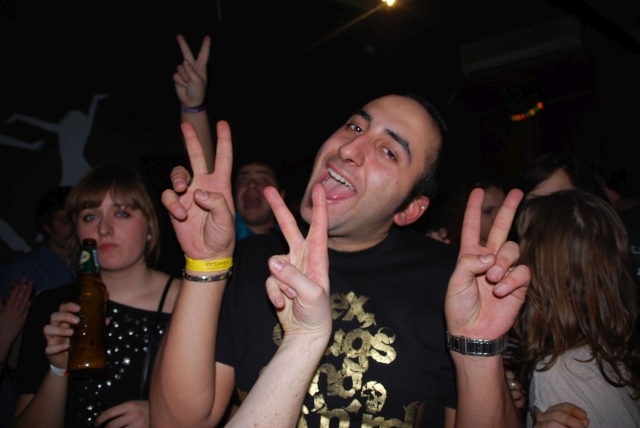 Andrzej: Mostly in Kraków, but I travel a lot, especially in Poland. It’s easy to meet me, for example, in Toruń. GT: Final question: AEGEE-Kraków turned 25 this year. What’s your message to the next AEGEE generation? Andrzej: Choosing AEGEE is choosing a life full of exciting adventures, beautiful people and valuable experiences. What’s more: it is a really wise choice. AEGEE-Kraków was always a strong and important antenna. It was the voice of young people, a place where you can party, love, travel and work. I hope that it will not change in the next 25 years. Dresden Is Finally Back On the AEGEE Map!